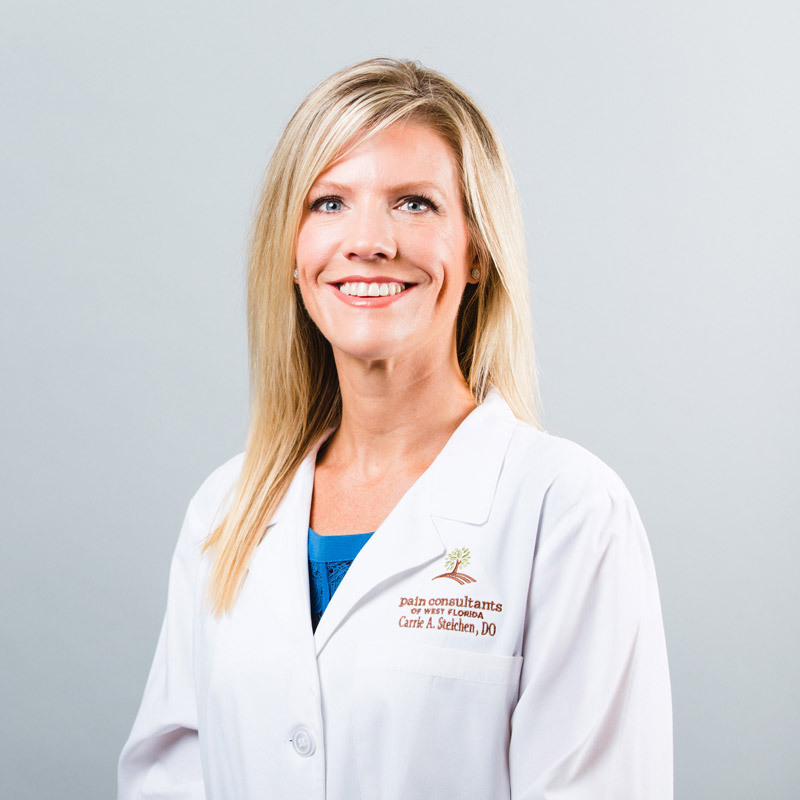 Carrie Steichen, DO, has been treating patients at Pain Consultants of West Florida since July 2014, and has been practicing osteopathic medicine for nearly 11 years. She is board certified by the American Osteopathic Board of Anesthesiology and the National Board of Osteopathic Medical Examiners, and is affiliated with several national and local professional societies, including The American Society of Interventional Pain Physicians, the Escambia County Medical Society, the American Osteopathic Association, the International Spine Intervention Society, the American Osteopathic College of Anesthesiologists, and the Florida Society of Interventional Pain Physicians. Dr. Steichen believes in treating her patients with the utmost respect and honesty to create an individualized treatment plan. Since placing roots in Pensacola last year, Dr. Steichen has immensely enjoyed the kindness of the community. When she’s not caring for her patients, she relaxes by brushing up on her golf skills and spending time at the beach with her son. To keep her mind and body sound, she keeps a regular exercise routine and listens to her favorite music. Residency & Fellowship: McLaren Oakland Hospital, Pontiac, MI. DO: Kansas City University of Medicine and Biosciences, Kansas City, MO.